We understand how frustrating it can be when your washing machine breaks down. That’s why we guarantee same day visits to ensure your washing machine is up and running in no time. We can accurately identify any faults and take necessary action to repair your machine. We carry spare parts for all washing machine brands including Whirlpool, Bosch, Hotpoint, Kenwood, Beko and Hoover. 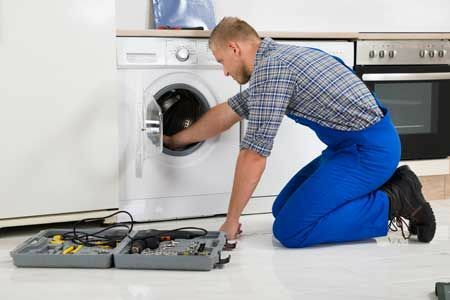 With 20 years’ experience repairing washing machines, we have worked with every make and model on the market and are capable of diagnosing and repairing any defects. All repair work is carried out efficiently with minimum disruption to your home life. We pride ourselves on our reliability and professionalism and our engineers are happy to offer practical advice on ways to extend the lifespan of your washing machine. Over our many years in business we have come across every washing machine issue possible. If your washing machine is making loud noises, leaking water or stopping mid-cycle, give us a call. We have the experience and know-how to take on the most complex problems. We have compiled a list of some of the most common washing machine problems.